The demand for the $65 million Gulfstream G650 is so high that delivery can sometimes take years after ordering the luxurious private jet. 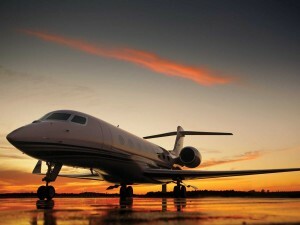 The G650 is the undisputed best private jet money can buy as it bigger and capable of flying faster and higher than any comparable plane on the market. Communications head Steve Cass said in a 2013 interview that the Gulfstream G650 would be devoid of any real competition until Bombardier’s Global 7000/8000 begins operation in 2016 or 2017. With two Rolls-Royce engines, a top speed of Mach .925 which is close to the speed of sound, and the widest cabin in its class, the Gulfstream G650 will continue to dominate the private jet market for years to come.